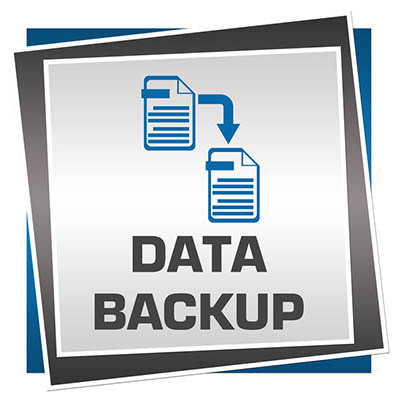 There are several aspects of a backup and recovery strategy that business owners (who do see reason to implement one) have to square away. By breaking the strategy into three core parts, your organization can secure a positive ROI from a backup and recovery system that, with any luck, you’ll never have to use. Deciding on a backup platform is obviously the first step in the process. There are several strategies a small business can use to cover its assets. They could use cloud storage, network attached storage facilities that use hard disk drives or tape backup drives, or even a manual system where people protect the data by backing it up to a hard drive and then take a copy with them when they leave. No matter what platform you choose to utilize, you have to understand that if you look at your data as an asset, it stands to reason that you would want to protect as much data as you can. At Kornerstone Technology Inc., we offer a comprehensive backup and disaster recovery service that utilizes network attached storage that pushes copies to the cloud in real-time. This not only provides the kind of data redundancy every organization needs, it allows our clients to thoroughly plan their data recovery strategies. Before we go into recovery, we’d be remiss not to mention that some data simply isn’t important. Small businesses often have a lot of data they collect but don’t do anything with, so it just sits on their infrastructure taking up space. Some businesses look to data analytics to cut down on dark data, but for the small business that doesn’t have a backup strategy, it might just be putting the cart before the horse. If you are looking for a positive ROI, this is where it begins. A business needs to establish acceptable parameters for the recovery of their data. To do this, an organization is going to have to establish what are known as their recovery point objective (RPO) and recovery time objective (RTO). Before we elaborate, we should say that if you are in a position where you need to restore a large portion of your data--whether it be because of malware, natural disaster, sabotage, or blatant negligence--you absolutely have to have these plans made (and tested). The recovery point objective defines how much data your business could reasonably afford to lose in order to be able to sustain operational effectiveness. Recovery time objective is the maximum time you believe you can go without your data before your business fails. Each figure isn’t static throughout your business. Some of your data is more important than other data, of course, and has to be weighted this way. Therefore, some systems that hold more crucial data will have different RPOs and RTOs than less critical systems. This is where you can put it all together. How do you calculate the return on investment on systems that you hope you will never ever use? Establish your organization’s hourly realized revenue. To do this you take the amount of revenue your organization has taken in over the past year and divide it by the total working hours you and your staff have logged for that time. Figure out how much you would stand to lose both with and without a backup and recovery system in place. Multiply the hourly realized revenue with both scenario-specific figures you’ve calculated in step 2 and take the difference. This number represents the total avoided loss, in dollars. Without a disaster hitting your business, you may think that backup and recovery strategies are a waste of time and resources, but the ROI is clear. If your business is looking for a backup and disaster recovery solution that can seriously save your business in the event of a disaster--something no ROI calculator will ever tell you--call the IT professionals at Kornerstone Technology Inc. today at 818-206-6383.